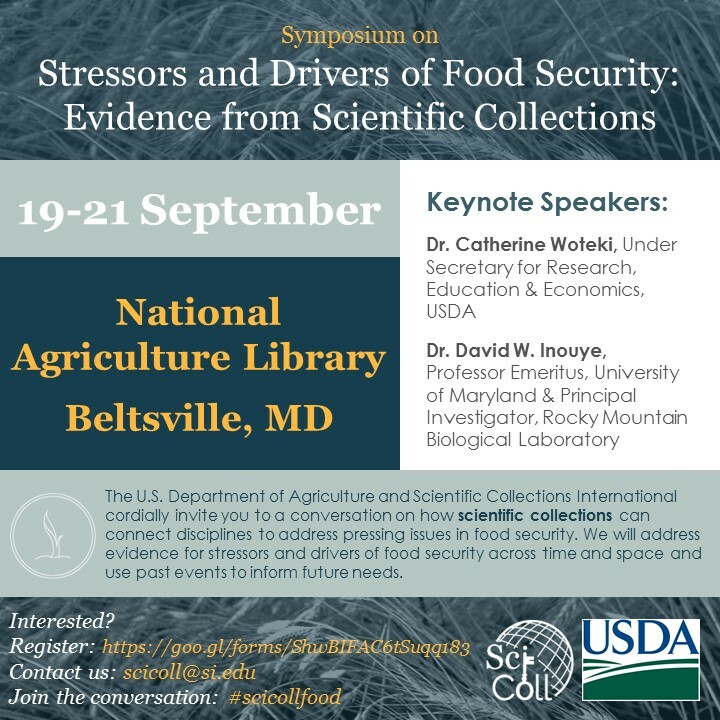 We are pleased to invite you to register for our symposium, Stressors and Drivers of Food Security: Evidence from Scientific Collections. 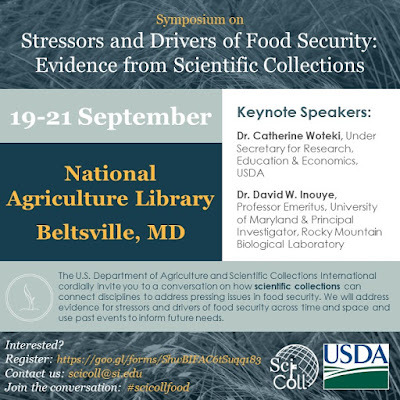 The symposium will be hosted by the US Department of Agriculture at the National Agriculture Library in Beltsville, Maryland, just outside Washington, D.C., Monday to Wednesday, 19-21 September 2016. This will be the first-ever symposium that brings together food security researchers and experts on scientific collections in diverse research disciplines. The symposium will be an ambitious look forward into food security research that relies on evidence drawn from scientific collections across a broad range of disciplines: from pests and parasites, to changing growing seasons and tolerances, to alternative food sources and more. The event is free; however, registration is required. For more information about the event, please visit our website.